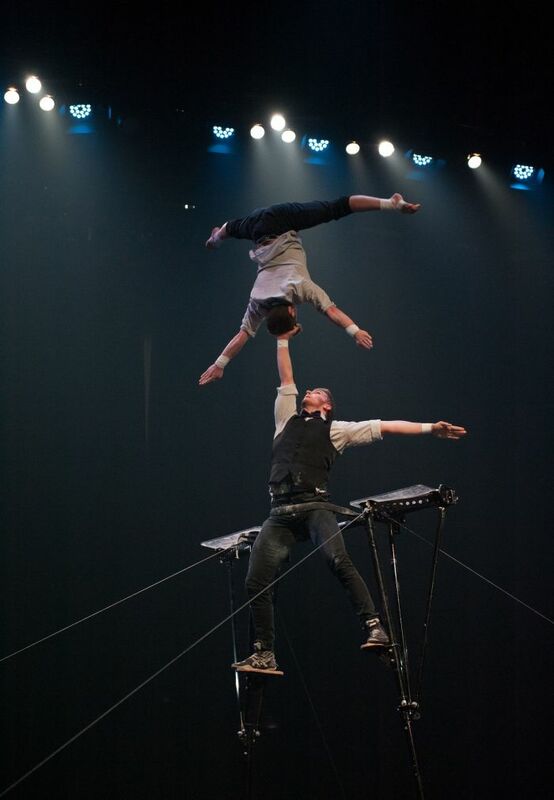 The award-winning and much-loved La Soirée has announced multiple new acts for its residency at the Aldwych Theatre this Winter, including a pair of awesome acrobats, an aerial hoop artist, the death-defying Chilly Brothers Cradle Act, and tension straps artist LJ Marles. Playing from 24 November to 3 February 2018, and featuring fabulous cabaret performers from across the globe, the production is delighted to reveal the newest incarnation of La Soirée’s infamous dysfunctional family, as they revel in their posh new surroundings and make mischief in London’s glittering West End. Acts include Mallakhamb India!, featuring Rajesh Amrale and Rajesh Rao. Rarely performed outside of its homeland India, the amazing ancient art of Mallakhamb arrives on the West End stage, with this pair of awesome acrobats blowing audiences away with their extraordinary mix of unparalleled strength, sensational speed and spectacular skill. La Soirée’s heady cocktail of intimate cabaret, comedy, circus sideshow and contemporary variety is more potent than ever and this promises to be their most daring line up to date. Book your La Soirée tickets today! Age recommendation 17+. A family friendly version of the show, La Petite Soirée, will also play at the Aldwych Theatre this Winter.